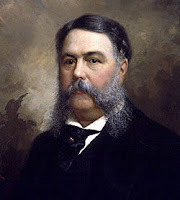 Chester A. Arthur has been named the greatest U.S. president of all-time because of his facial hair, the Snooze Button Generation announced today. So, that's right. The country has gone 97 years without a leader with whiskers. No wonder we're in a recession! How about growing a Fu Manchu, Mr. Obama? Of the 44 presidents, only five had beards, and all of the facial hair happened from Abraham Lincoln's presidency until Taft's. So from 1861 to 1913, 10 of 12 presidents had facial hair. Yowsers! Now, here is where the Snooze Button Generation goes beyond mere fact reporting and can explain all that facial hair. Not only is it cool and stylish, but it is in reaction to James Buchanan's presidency. Lincoln's presidency followed Buchanan's, and Buchanan was the only president who was a bachelor. Many say Buchanan was gay. He lived with another dude for 15 years, and Andrew Jackson referred to that dude as "Miss Nancy" and "Aunt Fancy." Tennessee Gov. Aaron V. Brown called the duo "Buchanan and his wife." 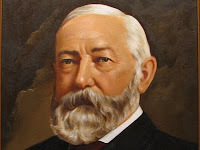 As we all know, presidents are extremely homophobic, and 10 of the following 12 after Buchanan felt the need to sport some facial hair in order to let the world know they were straight. 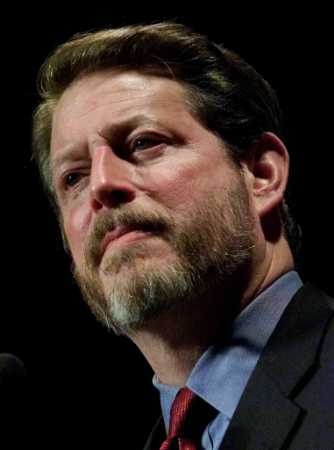 Ironically, many looked like what is termed "a bear" in the gay community, similar to when an overweight Al Gore had his beard.